Do you ever find yourself stuck doing the day to day reactive stuff, frustrated because you can’t seem to change things for the better as there’s no time to figure out what to do about it and how, never mind get it done? Or, think to yourself “If only I had more time in the day, I could move my business forward so much faster”? If so, you are not alone. One of the main challenges we see our clients struggle with is dealing with day to day demands, juggling multiple priorities and having enough time to “work on” the business whilst living the lifestyle of their choosing. The reality is of course that time is finite, so it’s vital we ensure that we get the most out of it if we want to achieve our business and life ambitions. Would you like to gain 27 hours in the month – almost a whole week!? 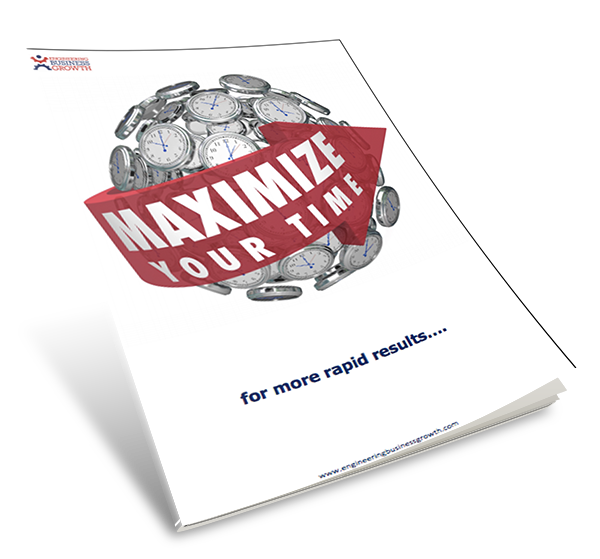 To help you do just that we have put together a workbook on how to maximise your time for more rapid results. Use the most effective time management skill of all!